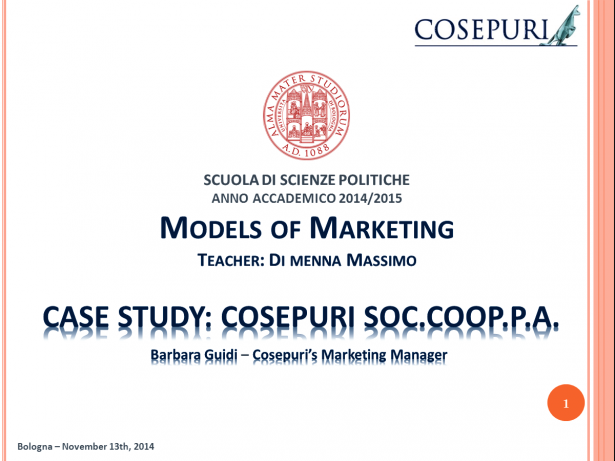 Cosepuri presented the company to form Models of Marketing Course of Political Science from the University of Bologna. The course, entirely in English, analyzes the market through the direct involvement of companies that lead their testimony before the audience of students. The testimonies of the companies will be aimed at telling their reality and interaction with marketing in general.